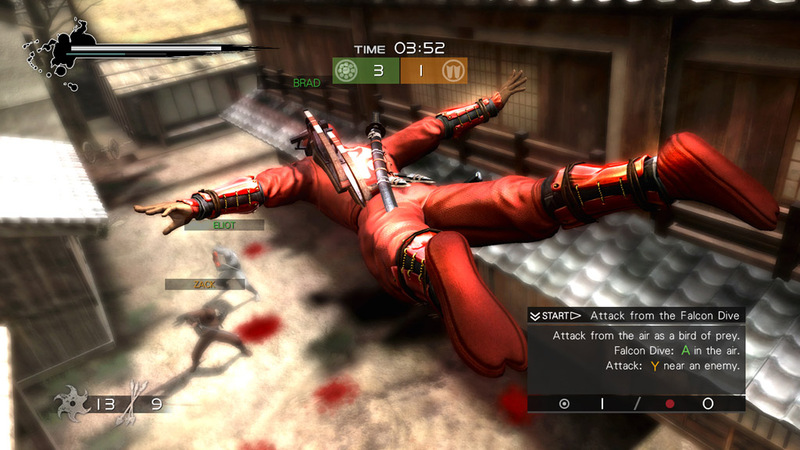 For years, the folks at Team Ninja have been making poor game reviewers battle their way through some of the most ninja battles in gaming history. 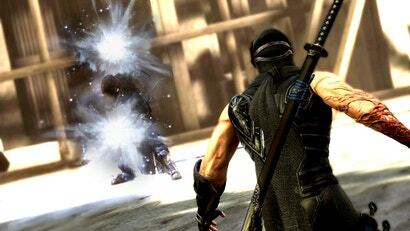 With the release of Ninja Gaiden 3 the tables are finally turned. In order for the tables to be turned the game critics would have to make their game reviews incredibly difficult to survive. 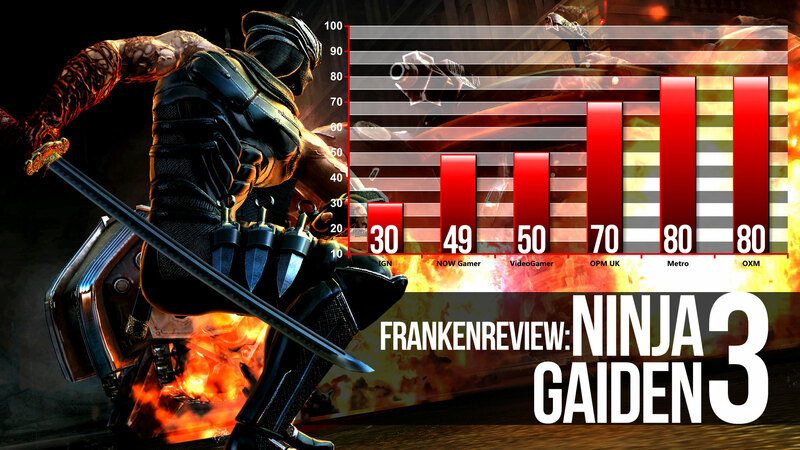 Using that criteria, at least three of the reviews featured in the Ninja Gaiden 3 Frankenreview fit the bill, delivering some of the lowest scores in franchise history. The other three seem to cut the latest entry a bit more slack, but still don't hold back when it comes to heavy-hitting criticism. Last week I joked that the Dead or Alive 5 demo might be the best reason to buy Ninja Gaiden 3. Was I right? 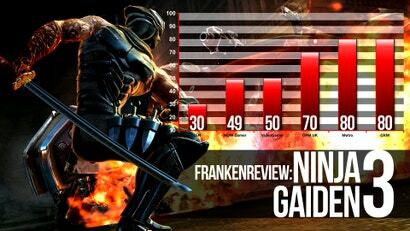 IGN Ninja Gaiden used to be about careful combat for skilled players. Knowing the skill-set inside and out was as important as understanding individual opponents, and digging into the complex mechanics was necessary to succeed. 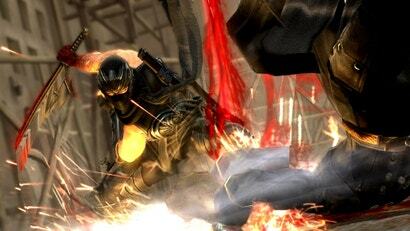 One basic enemy could kill Ryu Hayabusa, and getting him out of each encounter alive was an accomplishment. Ninja Gaiden 3 rejects this identity in an attempt to do something fresh and interesting with its hero. This is an admirable ambition that's ultimately responsible for many of the sequel's numerous failures. Shallow combat, a misguided narrative focus, and awful pacing cripple what could have been the most interesting entry in the series' history. With Ninja Gaiden 3, Team Ninja displays an obsession with new-found emptiness that anchors the action, betrays fans, and repels newcomers. NOW Gamer With Itagaki no longer working at Team Ninja, ninja extraordinaire Ryu Hayabusa has been placed in the hands of new director Yosuke Hayashi. Sadly Tecmo Koei's trust has been misplaced, because Ninja Gaiden 3, in an attempt to forge a brand new identity, ignores everything that made the franchise so great in the first place. This is most notable in Ninja Gaiden 3's combat, which constantly feels wooly and unsatisfying. The first two games had elegantly designed combat mechanics that really made you feel like a powerful ninja. Enemies were just as powerful as Ryu, so that even two or three foes could be a suitable challenge for the hardened sword master. There's no such intelligence on display in Gaiden 3, with Ryu's foes simply attacking en masse and continually respawning until you can push forward to the next encounter. 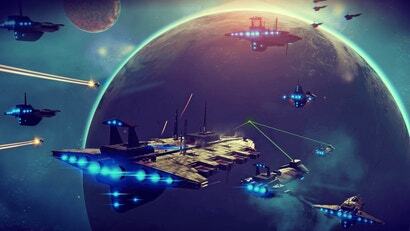 VideoGamer And what of the challenge? You can pretty much get through most of the game's standard normal difficulty by just mashing your regular attack button over and over. While Ninja Gaiden's option for precise, reflexive play is still available, it's certainly not required. 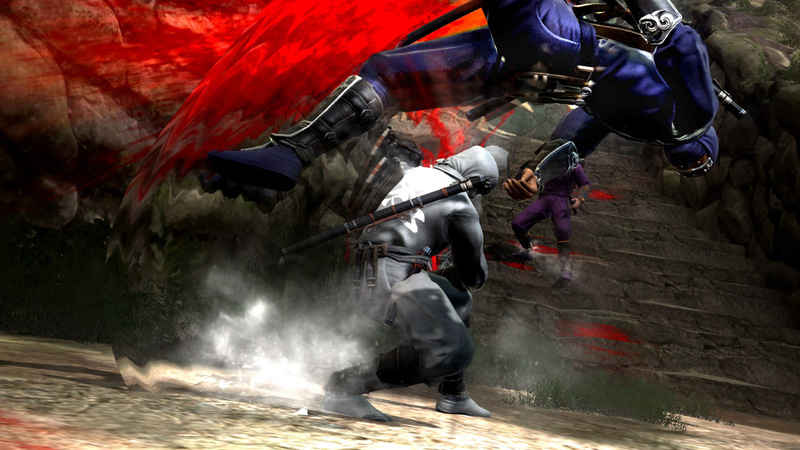 Higher difficulties are still there to really put you to the test, but Ninja Gaiden 3's greatest failing is that it's balanced and constructed in such a way that it never incentivises players to tackle these more challenging modes. It's an especially tragic realisation when compared to the heyday of the original, where I immediately started a second playthrough on a higher difficulty as soon as the credits stopped rolling. Official PlayStation Magazine UK (OPM) Solo play is as forgettable as it is fun, then, but there's a razor-sharp silver lining in the form of multiplayer. In deathmatch mode, seasoned players bring that level of difficulty fans will crave — it's merciless, especially in one-on-ones where invisibility (triggered by moving super-slow) and sneak attacks are key. With eight players all diligently trying to make sashimi out of each other, the action's distinctly un-stealthy but every bit as fun, and you're rewarded with increasingly bizarre customisation options as you hone your skills. Who hasn't wanted to gut someone dressed as a pink cat? Co-op challenge modes are easily digestible, too, and encourage you to learn the combos (like /r/ /r/ /r/ /r/ — seriously) and be as freakin' ninja as possible. Metro In terms of the overall difficultly level the Normal setting is just about average, if a little higher, than most normal action games. Series veterans should probably start on Hard mode though and Master Ninja mode is at least as difficult as the earlier games; with more enemies on screen at once, harder ones appearing earlier in the game, and Ryu taking more damage from all of them. Apparently there's to be another difficulty level beyond even that, to be released as downloadable content, so being too easy really isn't a complaint that can be thrown at the game. The only one that really sticks is the lack of variety and customisation in the weapons. We do feel this has been pared down too much, although if you didn't know about the earlier games we're not sure you'd necessarily complain. Official Xbox Magazine (OXM) If all of this reads like the evisceration of a horrible game, that's definitely not the case. It's a matter of context. Compared to its predecessors, Ninja Gaiden 3 is a noticeable step back due largely to all the gameplay decisions that are taken out of your hands. Stacked up against its contemporaries, however, it still stands among the finest fast-action experiences on Xbox (Bayonetta excepted). Ryu is a card-carrying member of the Badass Club, and the time spent both behind and without his mask is riveting. Two-player co-op in the Ninja Trials is a treat, while the eight-player Ninja Battle is refreshingly different from other modern online offerings, even if it's ultimately not compelling enough to keep you playing for months on end. Given the rare and tumultuous circumstances that led to such turnover at Team Ninja, it's fair to wonder what Itagaki's Ninja Gaiden 3 would've been like. Still, this version of Ninja Gaiden 3 - the one created by Yosuke Hayashi and his crew - is what we get, and it deserves praise for being a great way an Xbox action fan can spend $US60. It may not live up to the series' impossibly high standards, but it's still a gem in its own right. I'm scared. Ryu. Hold me. Not with the demon arm. 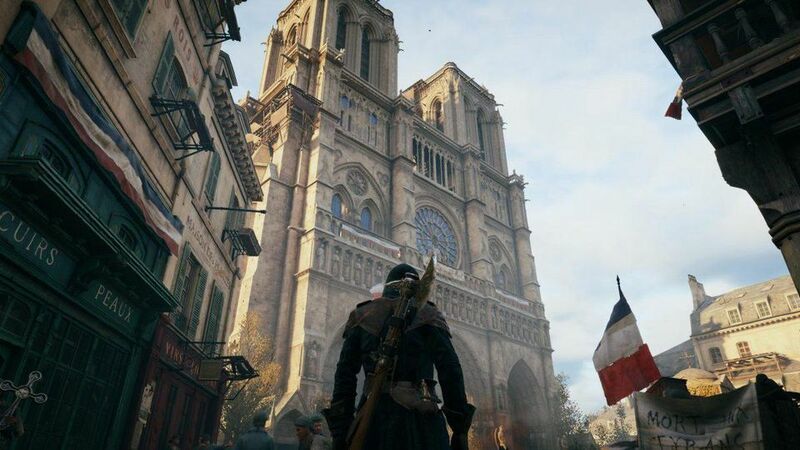 I am sad, the game had been concerning for a long time, but I hoped it would all turn out okay. Evidently not. Oh well, saves me the moolah and I'll just go play Sigma again. DIstilling games works sometimes, ME1 to ME2 was better for having less depth, but most of the time you end up ruining the franchise. Wait, IGN gave it 3/10? I didn't know their 7 to 10 scale went that low? Did this game punch the reviewer's wife or something? 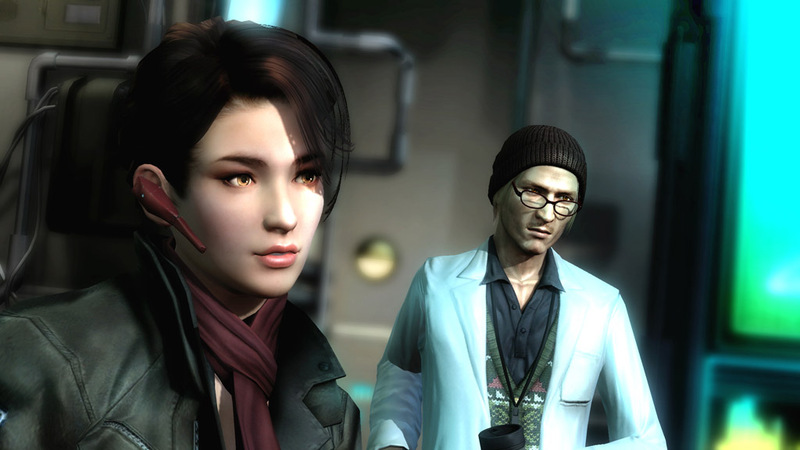 Makes me pretty worried for DoA5. Have companies stopped giving IGN money for review scores?